Limitless-Adventures was created as a way for busy DMs to liven up their campaigns. 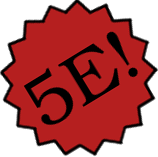 Limitless Adventures offers high-quality 5e gaming products. We specialize in DM-friendly products that minimize your prep so you can spend more time at the table playing and less time writing. What products do we currently offer? Limitless Encounters Ten environment-specific encounters. Each encounter is fully-fleshed out with names, treasure, OGL stat blocks and hooks for further adventures. Limitless Locations Ten linked locations (like a village or city district) ready for your adventurers. Each location is fully-detailed, with a history, colorful description, lively NPCs, treasure, stat blocks, a map, and hooks for adventure. As we add additional locations you can combine them to create larger, unique cities. Limitless Side Quests Short adventures each with three complete, linked encounters and a detailed map. So sure we’ll have adventures (it’s in the name so we kind of have to), but we are also hard at work creating new magic items, backgrounds, creatures, puzzles, and a line of non-combat, RP and skills- based adventures. All Limitless Adventures products come with what we call a novelty. A new spell, game mechanic, magic item, deity, or monster is available in each product - like the bubble gum in a pack of trading cards... this is a horrible metaphor, that gum was terrible. You get something new with each product. Every encounter comes with three Further Adventuretm hooks to make your job as DM easier. Each of our Limitless Encounter packs comes with a total of thirty additional paths to add to your adventure. Every member of our design team has been gaming for over twenty years and played through every edition of the world's first fantasy roleplaying game (seriously, we can't even use the abbreviation? no? OK), and despite hectic lives, manages to game together every Tuesday.